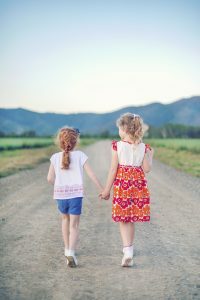 The Queensland Centre for Domestic and Family Violence Research (QCDFVR) receives funding from the Queensland Department of Communities, Child Safety and Disability Services to undertake specific activities. As well, QCDFVR welcomes enquiries from other organisations interested in commissioning, or partnering to undertake, gendered violence research in Queensland. Develop a community of practice for the specialist DFV workers employed in the Family and Child Connect (FaCC) and Intensive Family Support Services (IFS). Coordinate the Indigenous Family Violence Prevention Form. Organise and promote professional development events to support the sharing of new research, theory and best practice in relation to the prevention of violence against women. Maintain a website to provide support services and the general public with access to a wide range of information and resources. Engage with the sexual assault sector. Develop new resources that support responses to victims of sexual assault and/or domestic and family violence. Respond to media requests for information which help raise the profile of domestic and family violence prevention and support prevention of violence against women initiatives or strategies. reviewed the learning opportunities available to QPS staff relating to domestic and family violence. researched information resources available for victims, perpetrators, service providers and friends and family exposed to domestic and family violence. partnered with other agencies/ coordinated a number of evaluation projects. Some of these activities will continue or be developed further in 2017/18. As well, QCDFVR staff contribute to the development and delivery of education and training available through CQUniversity.